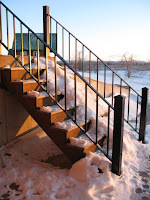 The Un-Official Blog of Romance Author Maddie James: It's going to snow: Time for French toast! Like most of the nation, we've had frigid temperatures here lately. Now, we're bracing for the snow. Prior to this, we've had a few flurries and a dusting. I'm hoping for somewhere in the middle. I would love to be home a couple of days with no distractions to finish the current project. But that remains to be seen. The winter storm watch alerts started coming yesterday in my email. The meteorologists told us to prepare. People started talking about going to the grocery store. You know, to buy milk, eggs and bread. So what gives? What is it with milk, eggs and bread? I know you've witnessed it. The snow is coming, you go to the store, and the bread, milk, and egg shelves are empty because people have bought everything up. 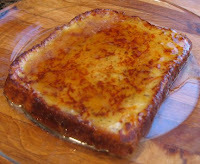 I can only deduce one thing from this phenomena--when the snow comes, people make French toast . Is there any other explanation for this? That's absolutely right! Didn't you get the high-fat, high-carb emergency survival cookbook? Oh, Maddie, I laughed right out loud!! So true though I hadn't thought of it before. Believe me, I worked at two different grocery stores in my time and I can definitely remember the rush on those three items when snow was forecast! There was absolutely NO BREAD at Kroger last night. The milk fridge was low, but they had restocked by the time I went back for the block of cheddar. It's mighty purty outside, but I got in trouble for being out in the flurries without my cell phone. What can I say? I HAD to go to the video store to get something to watch during the blizzard!!!! Taryn, so glad I made you laugh. My goal is to give out at least one laugh a day to someone! Looks like I gave out two yesterday! Jennifer, who can blame you for heading out into a blizzard for cheddar and movies? Aren't those two things, like, the stuff of life?